Sheldon was born Sidney Schechtel in Chicago, Illinois. His parents, of Russian Jewish ancestry, were Ascher "Otto" Schechtel (1894–1967), manager of a jewelry store, and Natalie Marcus. At 10, Sidney made his first sale, US$5 for a poem. During the Depression, he worked at a variety of jobs, and after graduating from East High School (Denver), he attended Northwestern University on a scholarship and contributed short plays to drama groups. He had to drop out after six months during the Depression era to help support his family. In 1937, Sheldon moved to Hollywood, California, where he reviewed scripts and collaborated on a number of B movies. Sheldon enlisted in the military during World War II as a pilot in the War Training Service, a branch of the Army Air Corps, His unit was disbanded before he saw any action. Returning to civilian life, he moved to New York City where he began writing musicals for the Broadway stage while continuing to write screenplays for both MGM Studios and Paramount Pictures. He earned a reputation as a prolific writer; for example, at one time he had three musicals on Broadway: a rewritten The Merry Widow, Jackpot, and Dream with Music. His success on Broadway brought him back to Hollywood where his first assignment was The Bachelor and the Bobby-Soxer, which earned him the Academy Award for Best Original Screenplay of 1947. He was one of the writers on the screenplay for the 1948 musical film Easter Parade and sole writer for the 1950 musical film Annie Get Your Gun, both of which featured the songs of Irving Berlin. When television became the new popular medium, he decided to try his hand in it. "I suppose I needed money," he remembered. "I met Patty Duke one day at lunch. So I produced The Patty Duke Show, and I did something nobody else in TV ever did. For seven years, I wrote almost every single episode of the series." Sheldon created, produced and wrote I Dream of Jeannie in his co-production capacity with Screen Gems. He wrote all but two dozen scripts in five years, sometimes using three pseudonyms (Mark Rowane, Allan Devon, Christopher Golato) while simultaneously writing scripts for The Patty Duke Show. He also used the same pseudonyms in writing all seventeen episodes of Nancy. He later admitted that he did this because he felt his name was appearing too often in the credits as creator, producer, copyright owner and writer of these series. He also created and wrote for the series Hart to Hart. Production for I Dream of Jeannie ended in 1970 after five seasons. It was "During the last year of I Dream of Jeannie, I decided to try a novel," he said in 1982. "Each morning from 9 until noon, I had a secretary at the studio take all calls. I mean every single call. I wrote each morning — or rather, dictated — and then I faced the TV business." I try to write my books so the reader can't put them down," he explained in a 1982 interview. "I try to construct them so when the reader gets to the end of it, he or she has to read just one more chapter. It's the technique of the old Saturday afternoon serial: leave the guy hanging on the edge of the cliff at the end of the chapter. Most of his readers were women. Asked why this was the case he said: "I like to write about women who are talented and capable, but most important, retain their femininity. Women have tremendous power — their femininity, because men can't do without it." Books were Sheldon's favorite medium. "I love writing books," he commented. "Movies are a collaborative medium, and everyone is second-guessing you. When you do a novel you're on your own. It's a freedom that doesn't exist in any other medium." He was the author of 18 novels which have sold over 300 million copies. Three years before his death, The Los Angeles Times called Sheldon "Mr. Blockbuster" and "prince of potboilers." Sheldon was first married to Jane Kaufman Harding (1945–1948). Later he wrote "Regretfully, in less than a month, Jane and I realized we had made a mistake. ... We spent the next nine months trying in vain to make the marriage work." He was married for 30 years to Jorja Curtright, a stage and film actress who later became an interior designer. She appeared in a Season One episode of I Dream of Jeannie. She died of a heart attack in 1985. Their daughter, Mary Sheldon, became a novelist as well. He married Alexandra Joyce Kostoff, a former child actress in Las Vegas in 1989. He struggled with bipolar disorder for years; he contemplated suicide at 17 (talked out of it by his father, who found him with a bottle of whiskey and several bottles of sleeping pills), as detailed in his autobiography published in 2005, The Other Side of Me. A resident of Palm Springs, California, Sheldon died on January 30, 2007 of pneumonia at Eisenhower Medical Center in Rancho Mirage, California, 12 days before his 90th birthday. His remains were cremated, the ashes interred in Westwood Village Memorial Park Cemetery. Despite generally limited access to foreign literature, it has been reported that members of North Korea's small English-speaking elite are familiar with Sheldon's work. Sheldon won an Academy Award for Writing Original Screenplay (1947) for The Bachelor and the Bobby-Soxer, a Tony Award (1959) for his musical Redhead, and was nominated for an Emmy Award for his work on I Dream of Jeannie, an NBC sitcom. Sheldon had a Golden Palm Star on the Palm Springs Walk of Stars dedicated to him in 1994. ^ "Bonhams : Alexandra and Sydney Sheldon's exceptional collection up for auction at Bonhams Los Angeles". bonhams.com. ^ a b c "Welcome to SidneySheldon.com: The Official Website of the World's Master Storyteller". hachettebookgroup.com. ^ a b c d e f g h "Author Sidney Sheldon dies at 89", Associated Press, January 30, 2007. Archive copy. ^ "Mr. Blockbuster", The Los Angeles Times, September 25, 2004. ^ Alexandra Sheldon herself received a Golden Palm Star on the Palm Springs Walk of Stars Frenzel, Gerhard G. (1999). Portrait of the Stars. Palm Springs, CA: Palm Springs Walk of Stars. p. 99. LCCN 98093956. OCLC 41260876. 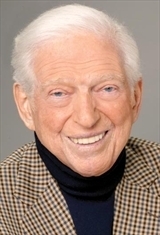 ^ "Sidney Sheldon, Author of Steamy Novels, Dies at 89", The New York Times, January 31, 2007. ^ Kim, Suki (October 14, 2014). Without You, There Is No Us: Undercover Among the Sons of North Korea's Elite. Crown. ISBN 9780307720665. Retrieved July 16, 2017. ^ Power, John. "Foreign fiction present in North Korea, though restricted". NK News. Retrieved July 16, 2017. "Sidney Sheldon: Meet Sidney Sheldon (Former official site)". HachetteBookGroupUSA.com (Internet Archive). Archived from the original on January 5, 2007. Retrieved January 5, 2007. "Sidney Sheldon: Meet Sidney Sheldon (Official tribute)". HachetteBookGroupUSA.com (Internet Archive). Archived from the original on December 10, 2007. Retrieved December 10, 2007. "Sidney Sheldon: Timeline". HachetteBookGroupUSA.com (Internet Archive). Archived from the original on December 10, 2007. Retrieved December 10, 2007. Sidney Sheldon Papers at the Wisconsin Center for Film and Theater Research. Roy, Pinaki. "Sidney Sheldon: Reviewing his Oeuvre". The Atlantic Critical Review Quarterly 12(3), July–September 2013 (ISSN 0972-6373, ISBN 978-81-269-1902-4): 1-14. This page is based on the Wikipedia article Sidney Sheldon; it is used under the Creative Commons Attribution-ShareAlike 3.0 Unported License (CC-BY-SA). You may redistribute it, verbatim or modified, providing that you comply with the terms of the CC-BY-SA.